For the first time Oklahoma City Thunder centre Steven Adams shares the story behind his meteoric rise to become one of the most exciting players in the NBA and New Zealand's highest paid sportsperson. From the streets of small town Rotorua in New Zealand, Adams overcame the odds to emerge as a top prospect in the 2013 NBA draft. From there he has carved out a reputation as a key OKC Thunder starter and secured a four-year $100 million NBA contract. In this intimate account of his life story thus far, the 7-foot Adams reflects on his humble childhood, the impact of his father's death, challenges, setbacks, defining moments and what basketball means to him. Told with warmth, humour and humility, this is a gripping account of the rise of one of New Zealand's best-loved sports stars. 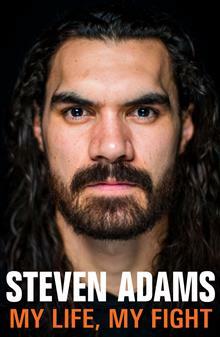 Steven Adams is a New Zealand basketball player who currently plays for the Oklahoma City Thunder in the NBA. He was selected by the Thunder in the 2013 NBA draft and has secured a place as the team's starting center. Rotorua-born Adams got his break into basketball after his father died when he was just 13. An elder brother enrolled him in a basketball academy in New Zealand's capital and Adams was offered a scholarship to one of Wellington's leading schools. From there he went on to play American college basketball at the University of Pittsburgh. He declared for the NBA in 2013, foregoing his final three years of college, and was named to the NBA All-Rookie Second Team in his first season. In 2016, Adams signed a $100 million four-year contract with the Oklahoma City Thunder, making him New Zealand's highest paid sportsperson. With his distinctive long hair and beard, the seven-foot center has attracted a loyal following in his adopted home, where he cuts an intimidating figure on the basketball court.